We are delighted that you are interested in learning more about our school! 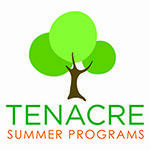 Tenacre is a coeducational elementary school, enrolling 194 children in the metro-west suburbs outside of Boston. We are situated on a beautiful ten-acre campus in Wellesley, near Wellesley College and adjacent to the Dana Hall School. Tenacre provides an academically challenging environment for students, one that nurtures their intellectual curiosity, stimulates personal growth, and fosters critical thinking. We encourage the physical, moral, and social growth of our children, and strive to prepare them for life in the culturally, racially, and economically complex world that awaits them. As you begin to explore our website, I hope you will begin to see what makes Tenacre such a special place. On this web site you will find information about our curriculum, calendar, our faculty, and all the many exciting activities that take place every day at Tenacre. But the best way to learn about a school is to visit. We invite you to come to the school in person for a tour of our facilities and an opportunity to learn first-hand about the stimulating and engaging program our faculty plans daily for our students. A good partnership between home and school begins when you understand our approach to education, and we recognize your expectations for your child’s education. Our whole Admission process is designed to help you get to know our school better and to decide if Tenacre is the right fit for your family. We will begin the Admission process in early October. You may drop-in to one of our Tuesday Tours (8:15 - 9:15 am) or set up an individual appointment by calling Elizabeth O'Connell, at x204. I look forward to welcoming your family to Tenacre! All Admission and Financial Aid decisions are made without regard to race, religion, disability, family structure, national or ethnic origin. Click on the link above to start an application to Tenacre or to access an application you have already begun.